We are proud to say that a new helpful page has been added to the website. Dive calculators and converters can assist you in making quick calculations or convert some measurements. Calculate you surface air consumption or SAC, an equivalent air depth or EAD, your equivalent narcotic depth or END for diving with helium and much more. 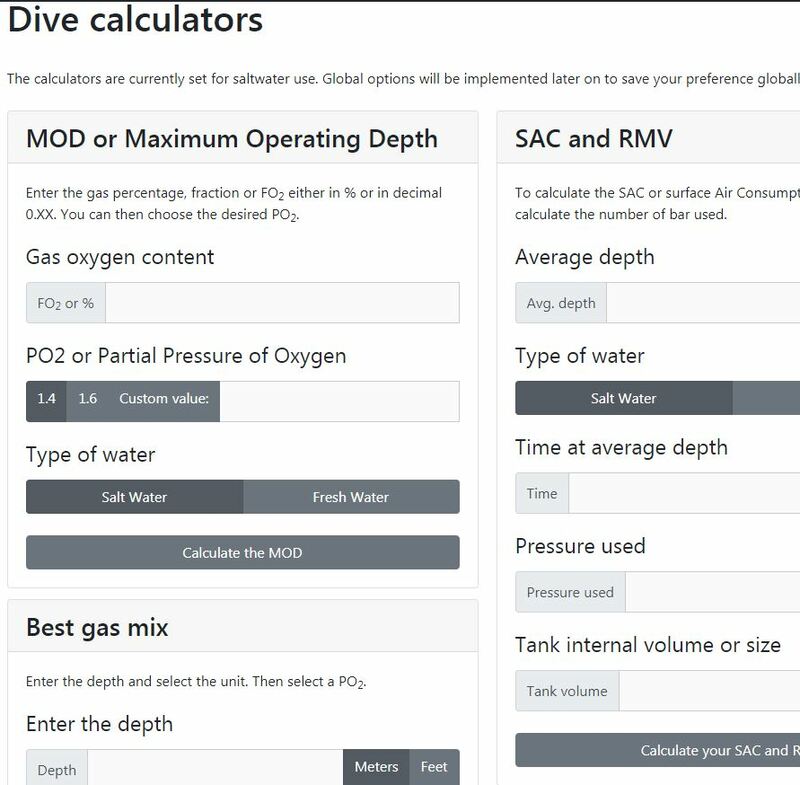 Head over to the Dive Calculators page to see what this is about.